Wood ducks are strong fliers and can reach speeds of 30 miles per hour! The Wood Duck is a species of perching duck found in North America. The adult male has distinctive multicoloured iridescent plumage and red eyes, with a distinctive white flare down the neck. The female, less colourful, has a white eye-ring and a whitish throat. Both adults have crested heads. They live in wooded swamps, shallow lakes, marshes or ponds and creeks and usually nest in trees close to water. 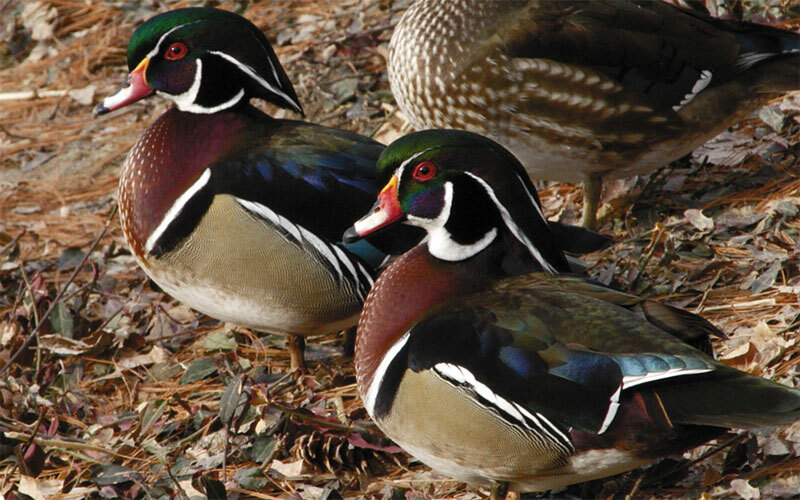 The Wood Duck is the only North American Duck that regularly produces two broods in one year. Wood Ducks are among the most protective egg layers of all duck species.